Three years ago, PwC’S Annual Global CEO survey found that 37% of CEOs were concerned about a lack of trust in businesses. Across industries, that number has now climbed to 55%. Trust is the foundation of any successful relationship, both personal and professional, and when it’s broken, it is extremely hard to repair. When employees feel they can’t trust leadership they feel unsafe, like no one is looking out for them, and they then spend more energy on self-preservation and job-hunting than performing at their job. Talent acquisition costs and employee turnover costs increase as a result. Less than half of UK employees trust or have confidence in their organisation's executives, according to HR Magazine. The 2016 Global Workforce Study found less than half believed their leaders were interested in employee wellbeing, and only 35% thought their organisation was doing a good job developing future leaders internally. Why is good leadership critical to business success? When an organisation is guided by a decisive leader with good business ethics, clear vision and strong strategic direction, their positive energy will flow throughout the organisation. Strong leadership is a key driver of employee engagement and improved performance. Low engagement and high turnover are extremely costly for organisations, especially if the people jumping ship are high potentials in whom much has already been invested. CMI research has shown poor management to be the biggest single contributor to low productivity in the UK, where output per hour was 18% below the average for the rest of the major G7 advanced economies in 2014.The Department of Business, Energy and Industrial Strategy estimates the cost of poor management and leadership to the UK economy at £19bn a year through lower productivity. 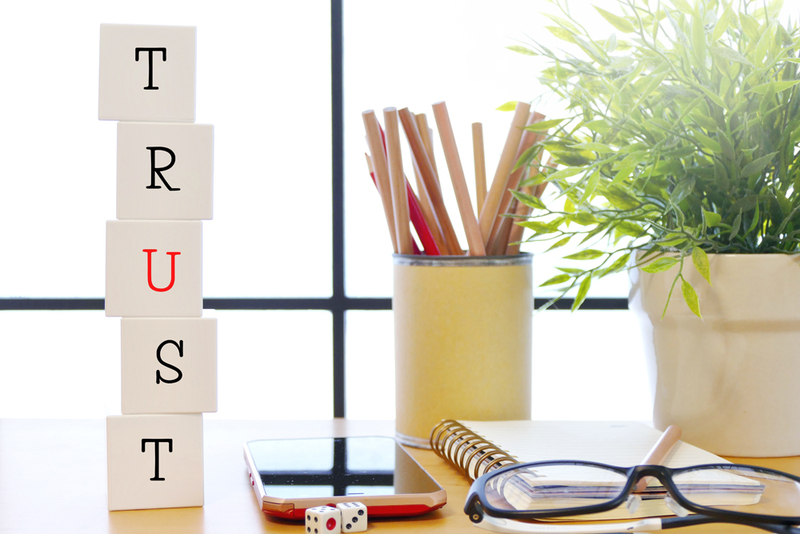 Lack of trust also reduces transparency and communication, which then leads to low innovation and lack of agility and responsiveness to changing business and economic conditions. When employees lack trust in leadership they often avoid communicating with them out of fear of retaliation – or simply because they feel that they can’t trust leadership to be transparent with them. To achieve maximum employee performance, employees need to promptly and transparently communicate any potential problems or concerns to leadership. Without trust, this is not likely. Problems can go unaddressed and impact bottom line profits. A workforce that has high trust between leadership and employees is a more engaged and committed workforce; a more engaged and committed workforce is a higher performing workforce. The higher performing they are, the more innovation and revenue are likely to increase. The pressure mounting on Managers today is significant.They are required to lead their business through continual change, grow profitability, keep shareholders satisfied, maintain employee engagement, drive high performance, uphold their corporate brand, and still deliver their own projects and service their own clients and much more. This requires a high degree of skill and ability to adapt. Leadership skills are central to any role within the business, and good leaders are required at all levels of a business. Leadership training programs and succession planning can help identify people with the potential to fill leadership positions and mould, shape and groom the executive team of the future. Despite this, according to arecent article in Harvard Business Review, organisations around the world are failing on their leadership development. Unfortunately, many organisations haven’t worked out how to fully develop their prospective leaders. This limits people’s advancement and eventually their engagement and, ultimately, impacts on turnover.One of the key leadership tasks requiring strong people skills is performance management, but research indicated skill levels here are low. Only just over a third of employees questioned said that their managers provided performance improvement coaching. According to an article by the Chartered Management Institute, seven in 10 employers are failing to train first-time managers. Often managers are promoted from within a business, who may do their day to day job extremely well but are not given the necessary leadership training programs to allow them to guide a team successfully. Developing leadership skills can not only provide important business proficiencies and aid professional development but also help develop interpersonal skills. Good leadership training can benefit everyone in your organisation, from top levels of management, to supervisors and lower levels of management. With leadership training, managers will learn how to manage their own time effectively, set realistic expectations and motivate employees. When the management of your business is strong at the top-executive level, the positive effects will filter down and have a positive impact to all employees. GBS recognises that every company’s needs, culture, areas of focus and strategy are different. Therefore sometimes, simply putting people on a course isn’t enough to make the difference. Offering a recognised professional qualification option to your in house training programme greatly enhances its profile and status, not just at the employee level, but also for your organisation as a whole. GBS is an approved centre and strategic partner for both the CMI and ILM. Working closely with our clients we design their programmes firstly around their business objectives and then map the qualification to this content. This approach ensures that learning is wholly relevant whilst also producing the required qualification. At GBS we will use our years of experience to help you design your own leadership development programme, as well as take care of all the discussions with the accrediting organisation to ensure your programme meets your requirements and is the most cost effective solution for you. Our carefully developed courses will support your managers and leaders develop the necessary skills to be able to cope with the many demands placed on them in business today. Additionally they will learn to develop a leader’s mind-set, to be able to inspire their teams to want to work for them and with them - not because they have to - but because they want to.